Middlesex bowed out of the Royal London One-Day Cup on Wednesday despite finishing their schedule on a winning note against Gloucestershire. With Dawid Malan unavailable for the bulk of the tournament, Middlesex handed the reins to Finn – and the paceman made a pretty good fist of his first taste of captaincy. As well as continuing to lead the attack himself, Finn showed a refreshing willingness to rotate the rest of his bowlers, regularly switching ends and making it harder for batsmen to settle. And by comparison with other recent Middlesex captains, Finn’s record when it came to winning the toss was excellent – even if his decision to bat in soggy conditions against Hampshire certainly raised eyebrows. Stirling’s ability as a destructive limited-overs batsman was never in doubt and, after a series of standout performances in this tournament, neither should his self-discipline. The Ireland international’s natural tendency was to smash a six, attempt to repeat the trick next ball and get himself out. Now, with a more watchful approach, he is turning his promising starts into big scores. By his own standards, Stirling’s strike rate for two of his three centuries was pedestrian. But that just underlines how well he has learned the importance of building an innings over a longer period. It’s been a while since Middlesex last deployed two spinners in tandem on a regular basis – exactly a decade, when the partnership of Shaun Udal and Murali Kartik propelled them to glory in the Twenty20 Cup. But left-armer Ravi Patel, having made just one County Championship appearance in the last two seasons, came in from the cold to claim the mantle of Middlesex’s leading wicket-taker in the tournament. Patel dovetailed nicely with the variation offered by leg-spinner Nathan Sowter, whose whippy, skidding action brought him success in terms of economy rate as well as wickets. 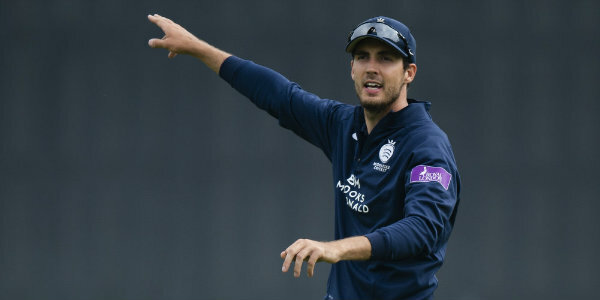 Skipper of Middlesex’s title-winning side in 2016, it looked as if James Franklin’s days at the club might be numbered. He was left out towards the end of last season and has so far failed to regain his place in red-ball cricket. But the 50-over tournament represented something of a renaissance for the former New Zealand star, who played in every game and frequently found himself tasked with shepherding Middlesex through the end of their innings. Each time he rose to the challenge with sensible batting and finished second only to Stirling in the averages. Some tidy performances with the ball also suggested that, even at 37, Franklin still has something to contribute. James Harris has been the most effective bowler in Middlesex’s red-ball side this season, so it was surprising to see his role restricted to substitute fielder until their final game – by which time it was too late to make a difference. Tom Helm proved expensive in the powerplay, never really settling into a groove and would surely have benefitted from a rest, with either Harris or the unused James Fuller obvious candidates to step in. Presumably the original plan may have involved more game time for the pacy yet raw Tom Barber, but after a ragged performance in the opening match against Essex, he was not seen again. There’s no getting away from it – despite blazing 60 not out from just 41 balls in Wednesday’s win against Gloucestershire, Hilton Cartwright’s tournament cannot be viewed as anything approaching a success. Only that knock at Bristol raised Cartwright’s batting average from what his fellow Australians tend to call ‘ordinary’ to respectable and on two occasions he bowled just a single costly over before being withdrawn from the attack. Maybe Middlesex felt bound to keep faith with their overseas signing in the hope that he would find form in time to help them progress in the competition. Regrettably, he didn’t. Even in some of the games they won, Middlesex contrived to convert strong platforms into decent, rather than overwhelming totals that might have weighed their opponents down under scoreboard pressure. The best examples of that came against Kent – when only Franklin’s late efforts hauled them above 300, having been 240-2 – and Sussex, when Stirling and Nick Gubbins put on almost 200 for the first wicket, yet the final total fell short of 300. However, in all but one of their losses, Middlesex batted first and came up about 40 runs short of a par score. They still need to manage an innings better than they have done up to now. Despite signs of improvement in the 50-over format, the outcome was the same as in every campaign since this tournament was introduced in 2014, with Middlesex again missing out on the knockout stage. This time, it could be said, they at least found some consistency by winning three games in a row for the first time. Unfortunately, they were also consistent in losing the next three – enough to end their hopes for another year.